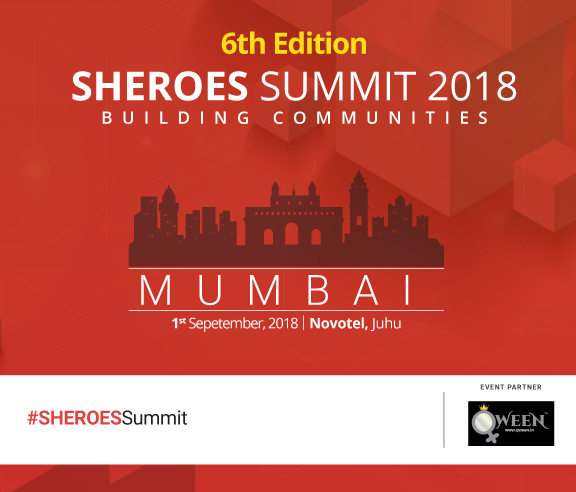 Qween is proud to be an Event Partner for Asia's largest event for women, SHEROES Summit 2018, 6th Edition. 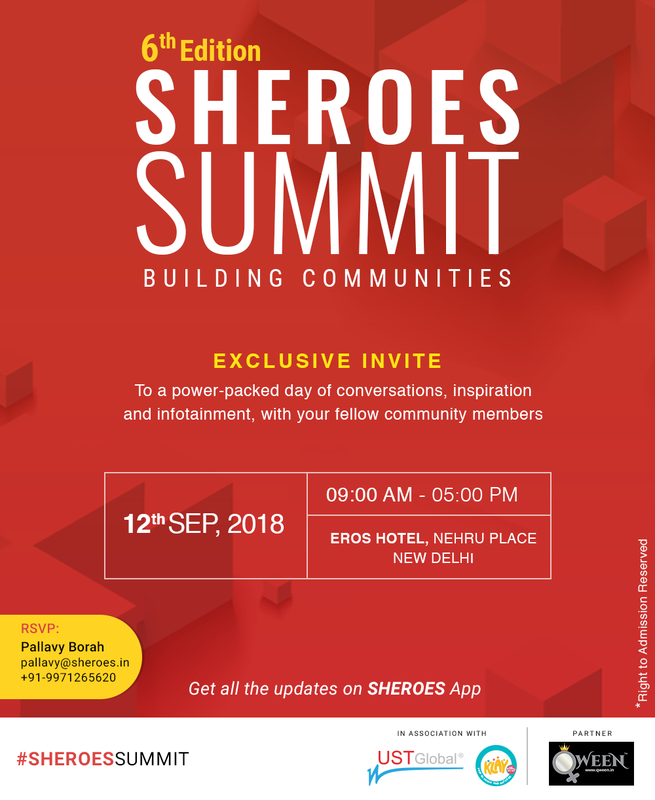 - Bazaar Showcase – Reach a wider audience as well as meet amazing women from SHEROES circle. The best place to showcase your products that you share with the community and that’s why we would like to enable this opportunity to showcase your best products at the Summit happening across cities. Best entries will be selected to be a part of this showcase. We look forward to see you at the event.